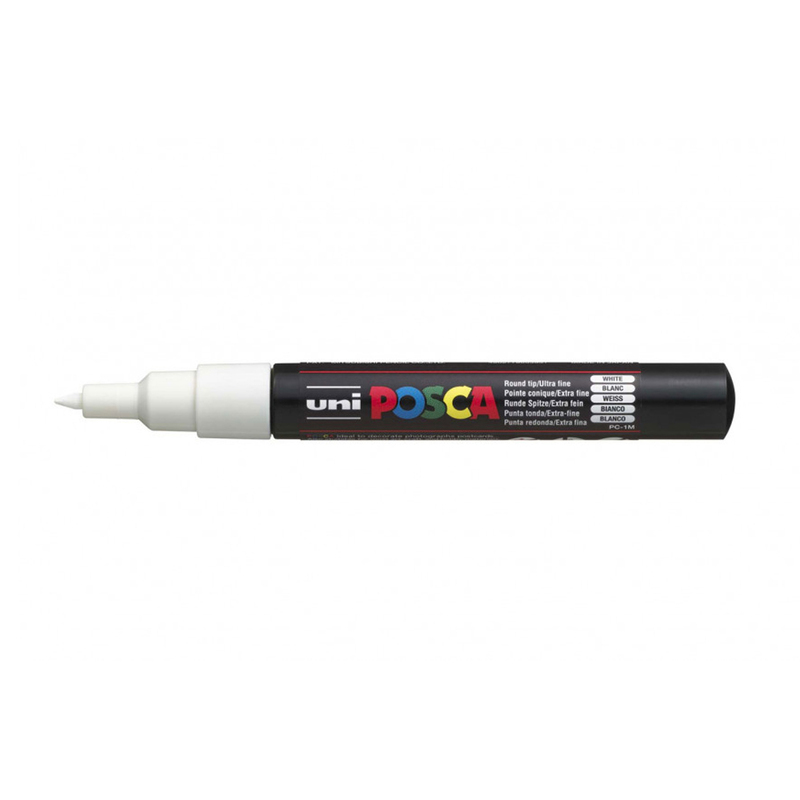 This Uni-ball Posca PC-1M Extra Fine Bullet Pen has a 0.7mm bullet shaped nib and is filled with a white water-based ink. The pen’s extra-fine bullet tip is ideal for adding in small details on your artwork or for creating quick sketches. 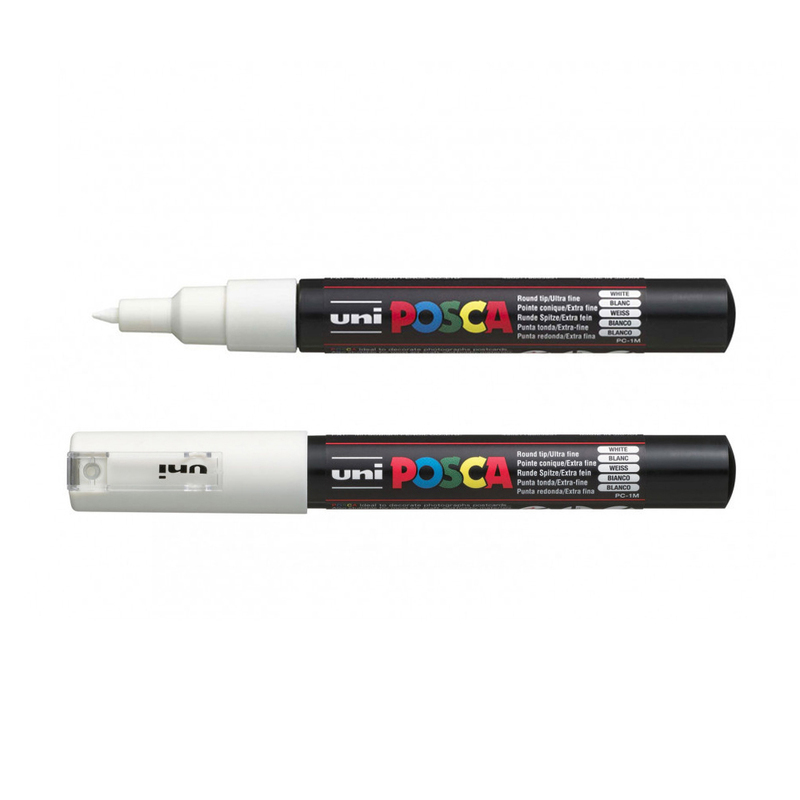 Its pigment ink is fluid, opaque and will write on virtually any surface - try these markers on paper, cardboard, rock, clay, plastic, metal, fabric, wood, glass or canvas! 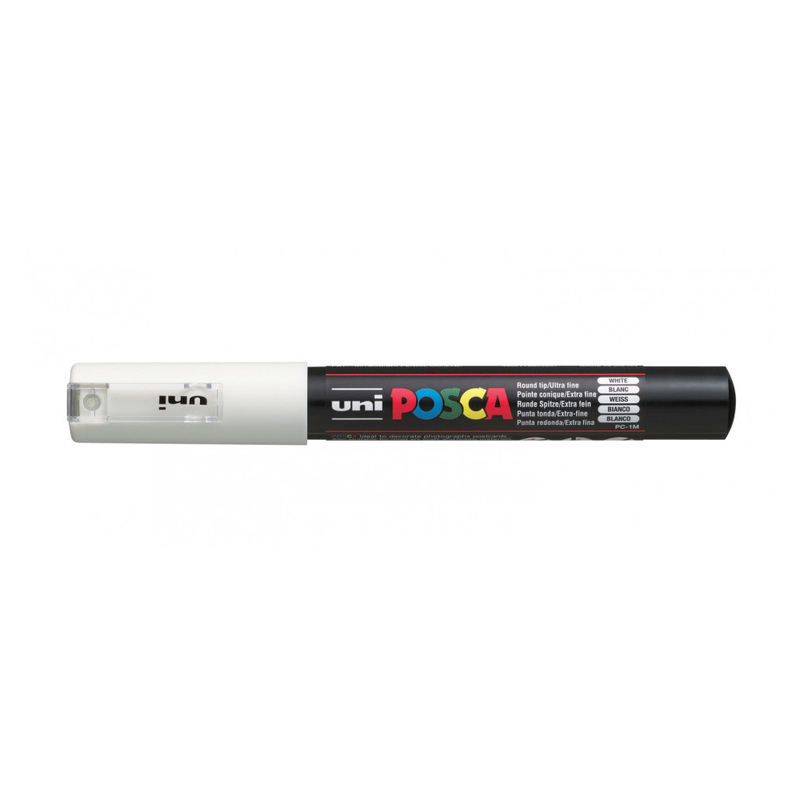 Odourless, alcohol and solvent-free these pens are suitable for indoor or outdoor use. Once the ink has dried your sketches and drawings will be waterproof; you can even draw layer on layer to build up a design or make corrections. A Posca is the ideal tool for any creative hobbyist or artist, and its versatility has made it internationally popular with the artistic community. To find out how to make your marker permanent on different surfaces, click the ‘more information’ tab above.